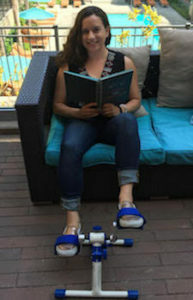 Fit in Your Fitness with LifeBike® Portable Pedals Anytime, Anywhere - at Work, at Home, Even on Long Flights! Do you sit for a living? Most Americans sit over 9 hours a day, causing health problems like weight gain, back pain, heart disease and diabetes. 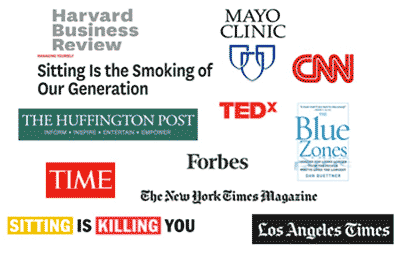 Adding insult to injury, studies from Mayo Clinic, Blue Zones and Harvard show you lose 20 minutes of life for every hour you just sit there. 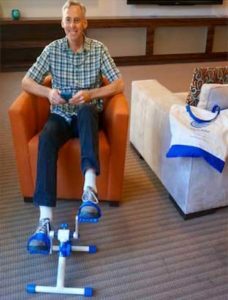 LifeBike® Portable Pedals (IoT) is the new breakthrough sitting solution from Broadway Star turned Serial Inventor, Robin (Boudreau) Palmer. 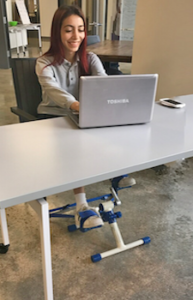 LifeBike® weighs less than 4 pounds, folds flat and goes anywhere with you in its bag, so you can easily, affordably and conveniently fit in your fitness right from your seat: at work, home, on the go, anywhere! Have you heard that sitting is the new smoking? LifeBike® Portable Pedals (IoT) is lightweight, folds flat & goes anywhere with you in its bag, just like sneakers. NEAT Certified by Mayo Clinic & Patented, LIFEBIKE® BURNS 300 CALORIES in 30 MINUTES, boosts your mood & energizes you anywhere you sit – at your desk at work, at home, even helps prevent blood clots on long flights! Comes fully assembled- simply unzip bag, unfold LifeBike® & pedal. 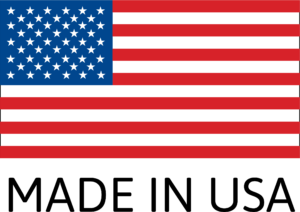 Uses lightweight aluminum. All other stationary pedals are made of heavy steel, which conducts heat & has literally burned users. Is portable and easy to stack or hang in its bag. It won’t take up space & you won’t trip on it. 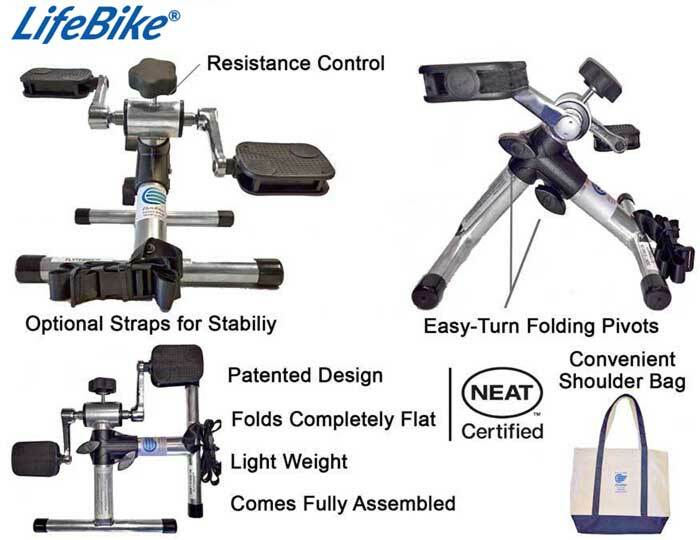 LifeBike® Portable Pedals: Pedal, Fold, Go! Do You Sit for a Living? Have you ever added up all the time you spend sitting every day? Most of us sit at work all day and then go home and sit three to four more hours every night in front of a computer, laptop or television screen. It’s easy to see how most people could spend up to fourteen hours a day in a sedentary seated position. Sitting all day has taken a serious toll on our health and bodies. Has Flying Got You Down? Blood clots affect 900,000 Americans and kill 300,000 of them every year. Flying is a leading cause, due to sitting for hours in cabin pressure, which restricts the flow of oxygen. Palmer says, “Personally, when I hit the 4 hour mark on a long flight, I couldn’t stand just sitting there for one more minute and getting up to stretch my legs wasn’t always an option. Thankfully, our customers are enjoying LifeBiking as they fly, while helping to prevent blood clots, (DVT), Lymphedema, and jet lag! Also, surprising but true: TSA agents have never mentioned or inspected customers’ LifeBike® bags. It’s recommend that you carry or pack it in its bag, so they see the LifeBike name, so they know its a health product. If ever necessary, you can share that LifeBike is a preventative product for health conditions including blood clots, Lymphedema (swelling), & flight anxiety. It’s All About the Blood Flow. Research shows that pedaling is the perfect way to pump blood to your brain and throughout your body. Pedaling for just a few minutes during your day boosts your mood and your metabolism! THE AVERAGE LIFEBIKER BURNS 300 CALORIES EVERY 30 MINUTES! Just like strolling on the treadmill desk, the goal is gentle movement to oxygenate your blood. 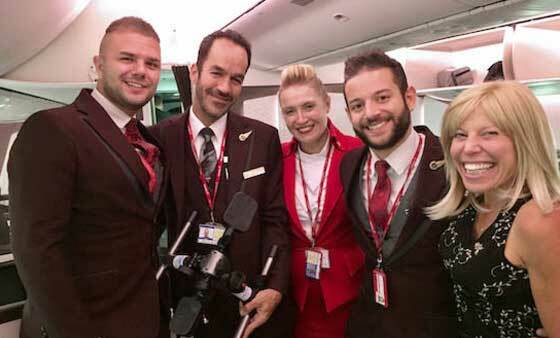 Don’t worry, you won’t be sweating at work or on the plane… unless, of course, you want to! Now you can lose weight, improve your mood (elevate endorphins) and increase your productivity (more blood flow to your brain) by LifeBiking just minutes a day at work, at home, when you travel – anytime, anywhere! 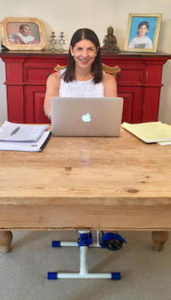 Successful business owner increases productivity at work. 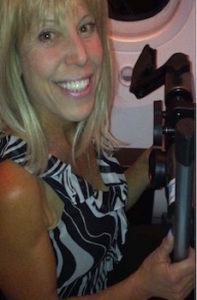 Bestselling author, speaker and success expert, Debra Poneman, loves burning calories while she works. BOOST YOUR MOOD & METABOLISM – ANYWHERE, ANYTIME! 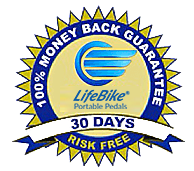 Get Your LifeBike® Portable Pedals Now!